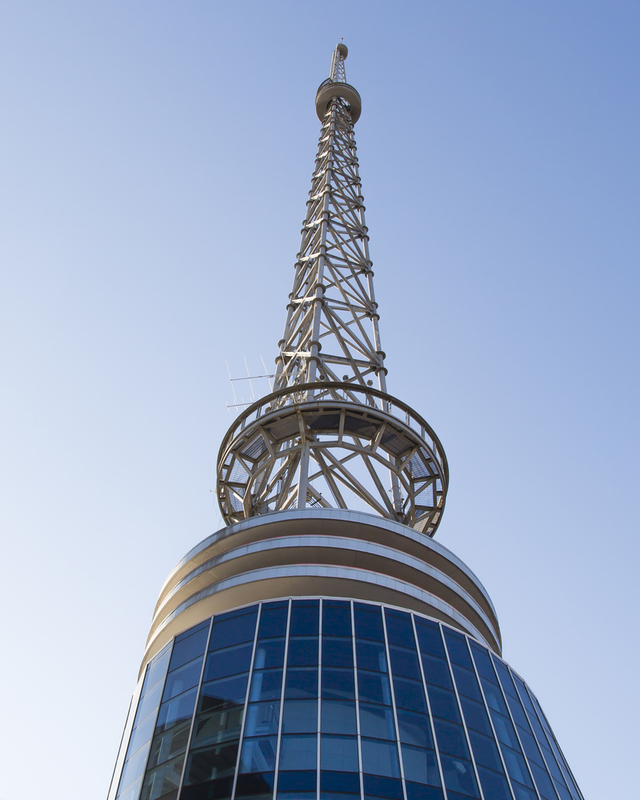 Nashville has long been considered the Country Music Capital of the world. Originally named Fort Nashborough, the city developed swiftly because of its advantageous location and its role as a railroad center and river port. Nashville is a dynamic city that never lacks in excitement and attractions, making it an ideal vacation destination. Specifically for known for country music past present and future, Nashville has quite a bit to offer the country music connoisseur. Our first stop on this Tennessean tour, is the longest running radio broadcast in U.S. history; The Grand Ole Opry. Starting with humble beginnings in 1925 by George D. Hay as a one hour long “Barn Dance” broadcast, by 1939 the show was a national hit on NBC radio. 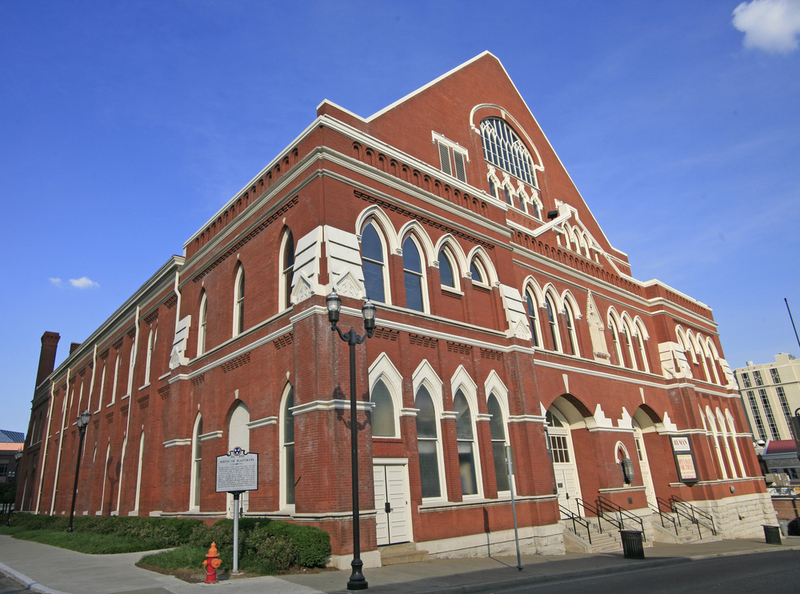 In 1943, the show moved into its first permanent home at Ryman Auditorium. The auditorium was originally built in 1892 by Thomas Ryman as a revivalist venue called Union Gospel Tabernacle. Though intended for religious services, the building was often leased to outside entities. When the Grand Ole Opry took over the auditorium for their performances, many times musicians played to sold out crowds. The Ryman remained the show’s home until the 1970s. After many years of swapping ownership, the Ryman was recently gutted, renovated, and once again serves as a venue for some of Grand Ole Opry’s country music recordings and live shows. The Grand Ole Opry House was the second permanent location for the beloved live radio broadcast, opening its doors in 1974. With the exception of a devastating flood in 2010, the Opry House has remained the live performance home for the show. The Grand Ole Opry continues to be performed every Tuesday, Friday, & Saturday, March through November. Our next stop is an essential for any country music fan – The Country Music Hall of Fame & Museum. Established in 1961, this museum is one of the world’s largest dedicated specifically to American vernacular music. The nonprofit Country Music Foundation was chartered in 1964 by the state of Tennessee to begin collection and preservation of country music history and artifacts. The current building for the museum opened in 2001, with its most recent expansion completed in 2014. When viewed from the air, the museum’s building forms a massive bass clef. That design detail along with many other easter eggs, help make this building a one of a kind musical gem. Our last stop on this country music cruise is the legendary Tootsie’s Orchid Lounge. Situated directly behind Ryman Auditorium, Tootsie’s began as Mom’s in 1960, when Hattie Louise Bess “Tootsie” bought the building. After a surprisingly bright purple paint job, Mom’s was formally changed to Tootsie’s Orchid Lounge, and has remained under this name ever since. Tootsie was known for her kindness. Many times, she would slip money into the pockets of penniless writers and musicians who wandered through the door. She would give drinks and food to those who couldn’t afford it, and supposedly there was a cigar box full of IOUs that she kept behind the bar of folks who promised to pay back their tab one day. Sharing an alley with Ryman Auditorium proved fruitful for Tootsie’s to have a revolving door of performers. 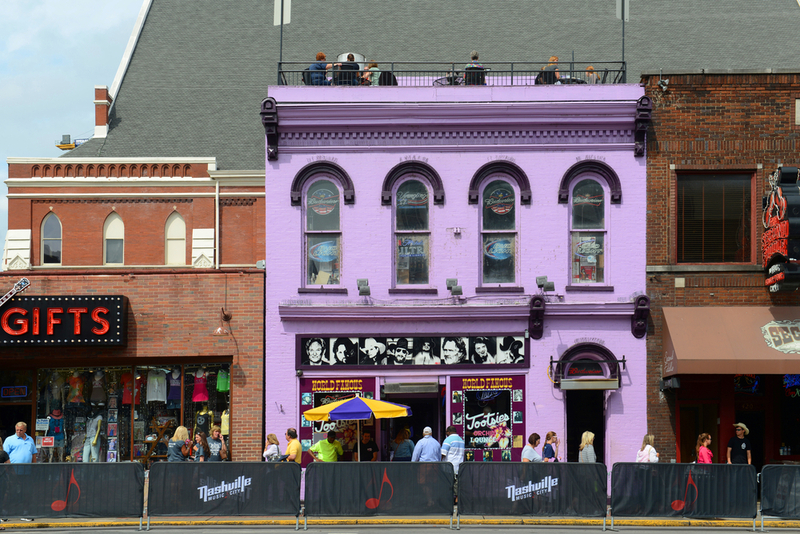 Due to the Ryman’s lack of adequate green room space, performers would many times have a few drinks at Tootsie’s before heading to the Opry stage to perform.